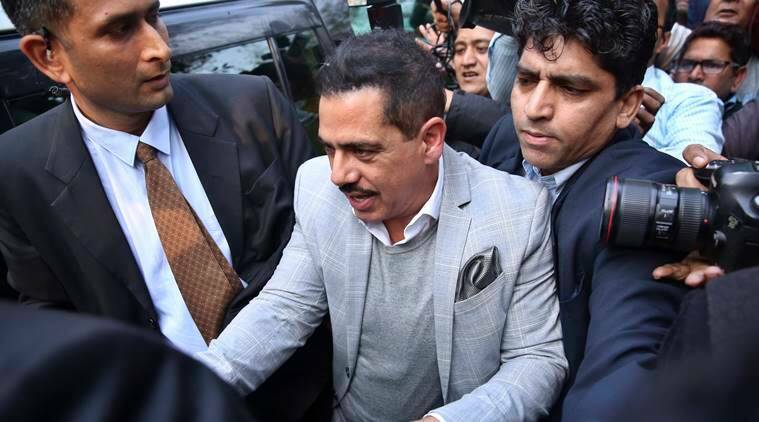 New Delhi: Robert Vadra was Wednesday questioned by Enforcement Directorate (ED) in connection with a money-laundering probe into alleged possession of illegal foreign assets, days after his wife Priyanka Gandhi was formally inducted into the Congress party. In a move seen as sending a political message ahead of Lok Sabha polls, Priyanka, sister of Congress president Rahul Gandhi, accompanied her husband in a white Toyota Land Cruiser along with SPG personnel in tow and dropped him outside the agency’s office in Jamnagar House in central Delhi. It is for the first time that Robert Vadra, son-in-law of Sonia Gandhi, is appearing before any probe agency in connection with alleged criminal charges of dubious financial dealings After jostling with a posse of assembled media persons, Robert Vadra entered the ED office at around 3:47 pm, minutes after a team of his lawyers reached the premises. He then signed the attendance register before being taken in for questioning. Vadra has alleged he was being “hounded and harassed” to subserve political ends. BJP spokesperson Sambit Patra alleged at a news conference that Vadra bought 8 to 9 properties in London from the money he got as kickbacks from a petroleum and a defence deal which took place in 2008-09 when the UPA was in power. Patra did not provide any evidence to back up his claim. A local Congress leader Jagdish Sharma, questioned by the ED, in this case, few weeks ago, was present outside the agency’s office after Vadra went in. Talking to newsmen, Sharma alleged that Vadra was being “framed” in the case. Arora was a key person in the case and he was aware of the latter’s overseas undeclared assets and was instrumental in arranging funds, ED had alleged.